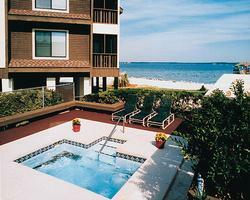 Perched above the Santa Rosa Sound, you'll discover the idyllic Holiday Beach Resort - Soundside. People who stay here fall in love with the property in this Gulf Coast community of Florida. 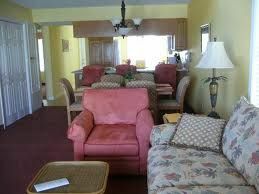 Chances are good that you will as well once you buy Pensacola Beach timeshare resales. Pensacola Beach, and the nearby city of Pensacola, offer an endless array of delights for the visitor. From the white-sand beaches and gorgeous views to the attraction of historic sites like the Pensacola Light, there's something for everyone here. People come here to tour the Historic Pensacola Village, to gaze in awe at the exhibits at the National Naval Aviation Museum and to wander the grounds of historic Fort Pickens. The Navarre Beach Marine Science Station is a hit with visitors of all ages while the snorkeling reefs just might be some of the best in the country. There's really no end of things you can do when you choose Pensacola Beach timeshare resales. 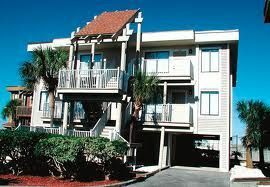 The Holiday Beach Resort - Soundside is found right on the waters of Santa Rosa Sound. 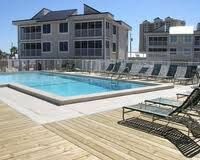 This provides spectacular views and convenient access to the sound's beach and pier. A community BBQ grill area is a favorite for guests, as is the championship-style tennis court. The outdoor pool and hot tub are constantly sought out by guests who want to relax in style, while the fishing pier is irresistible to all anglers. 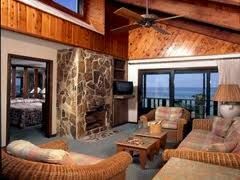 All timeshare accommodations at this resort are two-bedroom, two-bathroom condos that can sleep up to six. The master bedroom features a king-sized bed while twin beds are found in the second bedroom. A pull-out sleeper sofa provides room for two more in the common living area. Every condo has a full kitchen that provides all of the utensils and equipment that are necessary for preparing complete meals. The presence of a washer and dryer combo just makes every stay more convenient. A private patio delivers breathtaking views. 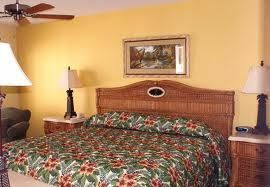 At the Holiday Beach Resort - Soundside, guests are surrounded by bright colors and tropical decor that perfectly reflects this quintessential Florida city. Choose these Pensacola Beach timeshare resales to start making memories to last a lifetime. Contact Holiday Beach Resort - Soundside Specialist Today!